Following is the free sales letter template which you can download, customize and upload to your website. The free sales letter template is provided in XHTML / CSS format. Using the elements and styles included in this template you can easily create your own sales page. The styles provided in the template are: title, highlighting, background, red emphasis, bold, italic, underline, sub-titles, testimonials, “buy it” area and footer. 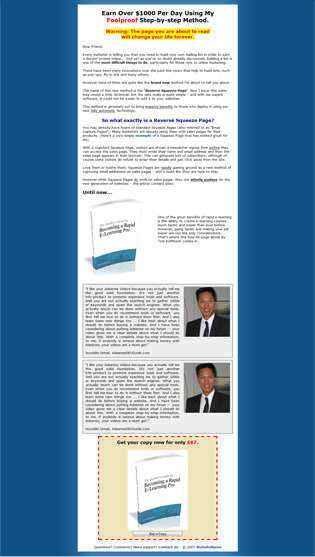 You can download it from here – Sales Letter Template – or preview the design below (click for full-page preview).